Ten Meerkats are being let loose in and around the streets of Central Hove over the Easter school holiday. The Meerkats feature on two walking trails aimed at encouraging families with young children to get out and about having fun and exploring their local environment. The Meerkats will be waiting for you to find them from Thursday 22 March to Friday 27 April. The trails have been set up by Brighton and Hove City Council’s transport team with funding from the Department for Transport. They have been designed for children aged 3-6 and their families, but anybody can take part. Adults and children can learn things about the different places where the Meerkats are hiding, and there are stickers to collect along the way. Each of the Meerkats will be holding something different. Write down what they are holding on the back page of the booklet and return it by Tuesday 15 May – and you could win a goody bag! 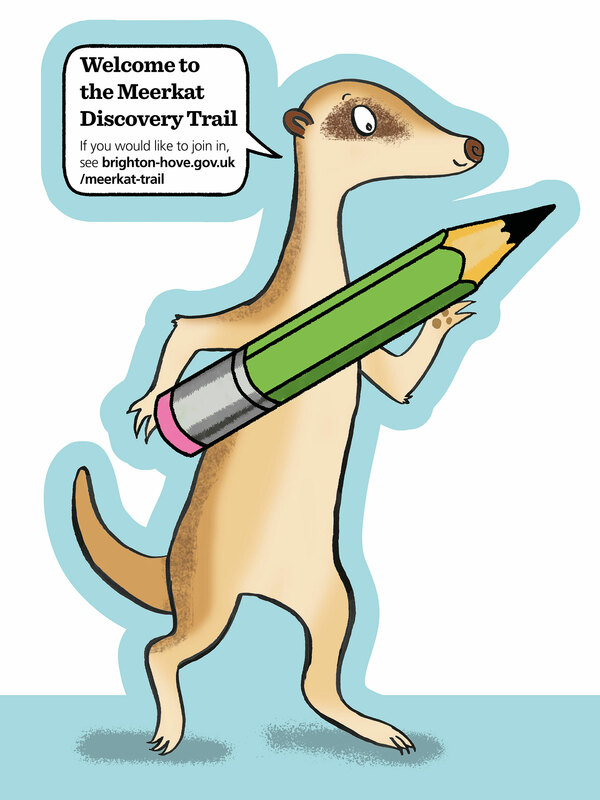 Visit www.brighton-hove.gov.uk/meerkat-trail for a downloadable activity booklet which has a map of the two trails and tells you where you can collect the stickers. In addition to the two trails, there is also a special event at Hove Library on Wednesday 4 April from 10am to 3pm. There will be lots of fun activities and games for children, and an opportunity to meet Piers the Meerkat!